A new story with expressive Viktor Lyagushkin’s photographs in Popular Mechanics (Russia) Magazine dedicated to the deepest mine of our continent which depth exeeds 1700m. It is located in the town of Guy, Orenburg, Russia. 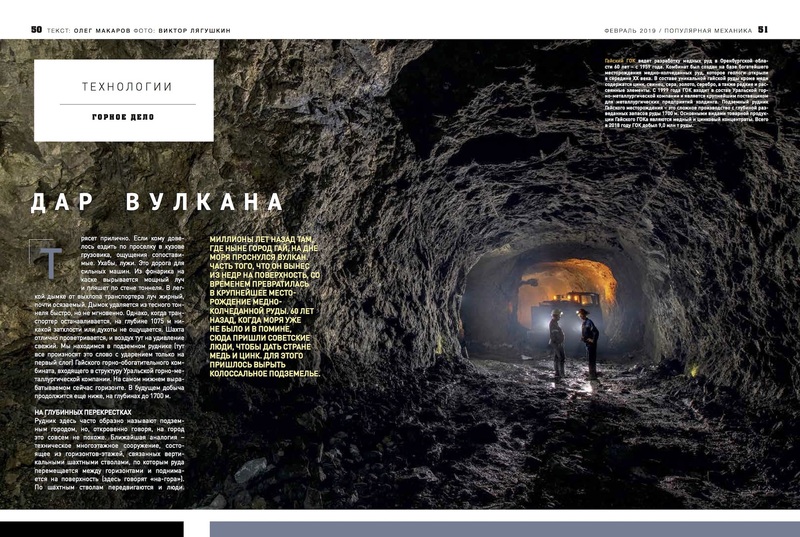 For me as a journalist who writes about nature and ecology, it was sad a little to understand how insatiable a mankind is in mastering and consuming the world, but I confess that it was incredibly interesting to work under ground: to see with my own eyes how the mine works. It turns to be a gigantic and complex colossus, where each process is inextricably linked to the previous one. I admired the scale and genius of human thought, who invented it all. This entry was posted in publications, Uncategorized and tagged publications by SnowKitty. Bookmark the permalink.